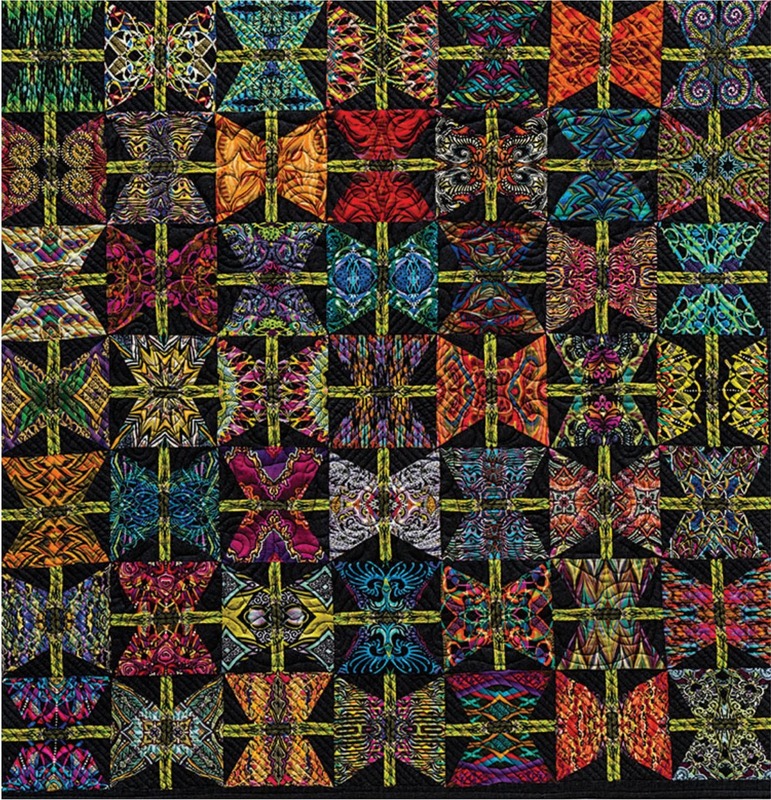 The other day, we shared Randa Mulford's Slices of Opulence quilt with you. 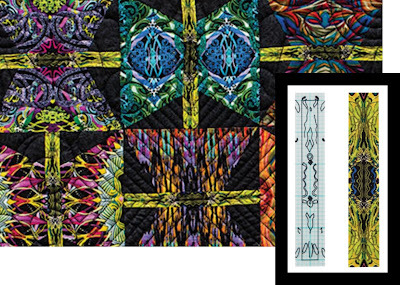 She credited the fabric (Paula Nadelstern's Opulence collection) with doing most of the hard work in her quilt--she simply fussy-cut pieces to create intricate designs. 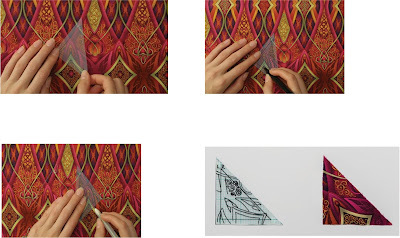 Fussy cutting sounds easy; just cut out the part of the fabric you want to use--but how do you truly do it successfully? 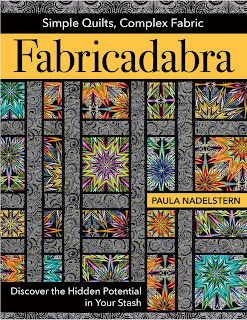 Today we're sharing some tips from the expert herself, Paula Nadelstern. 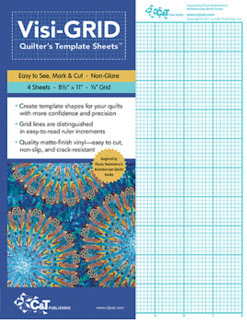 She has a product out through C&T Publishing called VisiGrid Quilter's Template Sheets which she uses for fussy cutting. 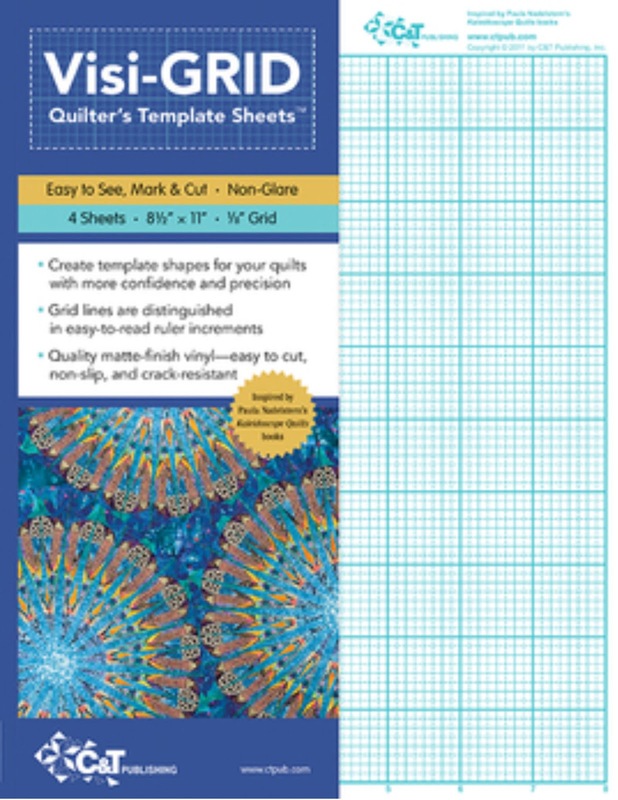 These sheets are see-through to help you position your templates on fabric, feature a grid for more precise templates, and are easy to cut, non-slip and crack-resistant. Here are some real-life examples using Visi-GRID, including some from Paula's most recent book, Fabricadabra. 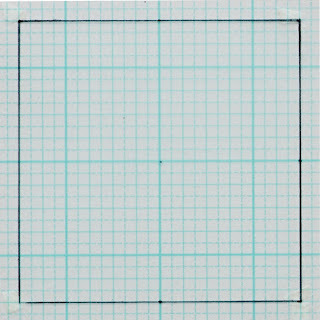 Audition your options by moving the template around the fabric. When you've decided what you want to use, mark the template by copying clues/motifs onto the template. 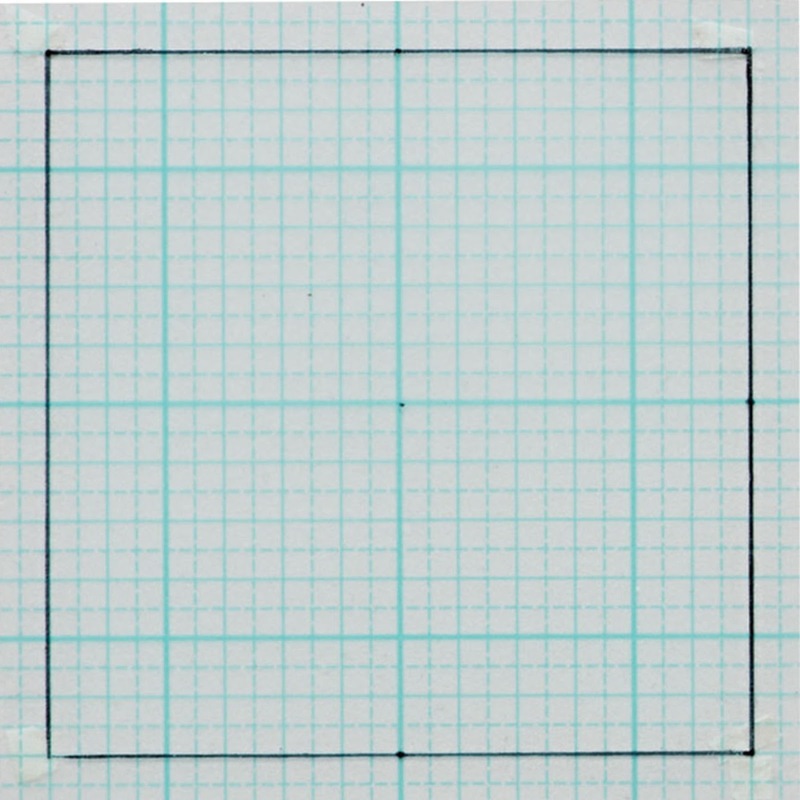 Mark around the template, and cut out your fabric shape. After you've decided where to position the template on the fabric, hold it in place and use a fine black permanent marker to trace a lot of the details of the selected designs directly onto the template. Continue marks into the seam allowance. Use clues to help you find identical patches multiple times. 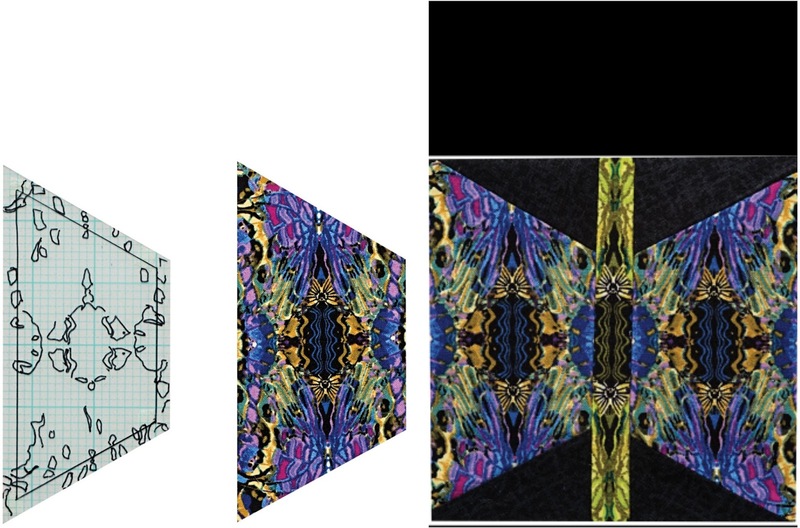 Here's another example of template pieces, the fabric used, and then the identical (mirror-image) pieces cut using the templates. 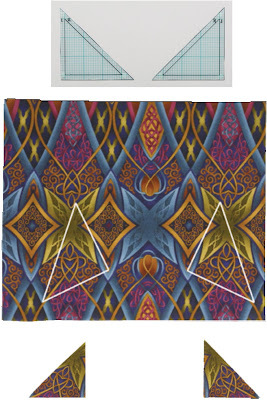 Look carefully and you can see the outlined white triangles on the fabric. 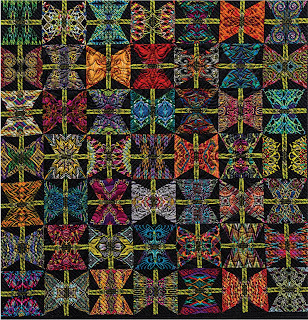 "An Agreement of Butterflies," designed and pieced by Paula Nadelstern and quilted by Rebecca Gore, is one of the quilt designs featured in Fabricadabra. Each butterfly body uses the same fussy cut strip for the butterfly body. The wings are also fussy-cut, different for each butterfly. The wings are mirror images of each other. Fussy cutting can be so much more than simply cutting a flower or other motif out of fabric! Click here to read an interview with Paula on C&T's website. 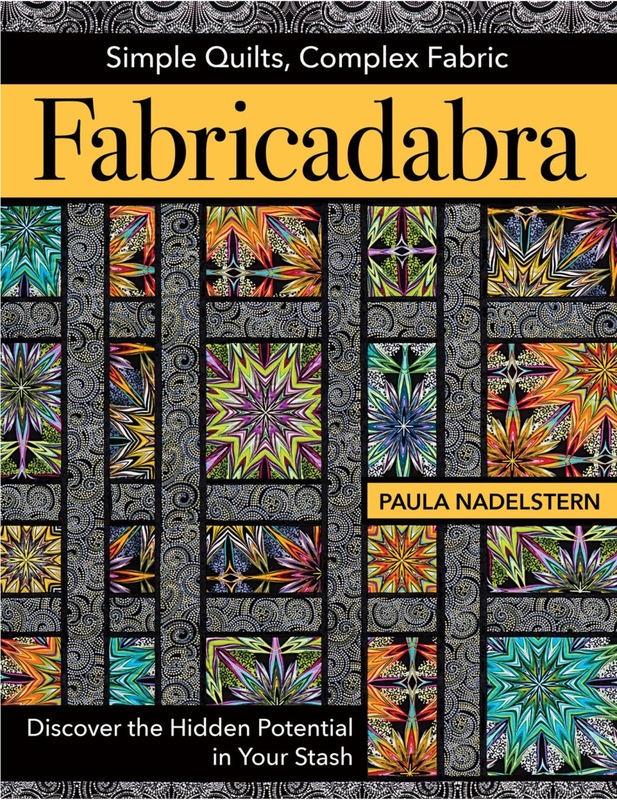 Ready to fussy-cut some of Paula's fabric? Click here to view her Kismet collection. I have long enjoyed Paula's beautiful work.